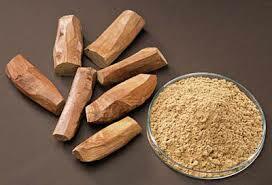 Ayurveda is the most useful and successful means for achieving this purpose naturally. 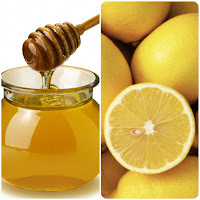 You will be amazed to find abundance of beauty secrets in the form of face masks and other mediums that can treat and heal the dull and blemished skin to make it into a glowing and healthy skin. Ever tried face masks with flowers? It’s time you give it a shot. 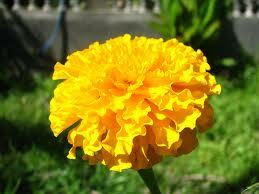 Marigold flowers are easily available. So just grab a few and make a fresh flowery paste with some raw milk and 1 tbsp. of honey. Apply this on your face as a paste and leave it on for 10-15 minutes before you wash it with lukewarm water. Besides the amazing aroma, the pack also has antibacterial and antiseptic properties that heal the aggravated pimples or zits. Doing this for at least one or two times a week helps tighten the pores and leads to amazing glowing skin. Alternative: - You can use petals of absolute red roses in the same manner. 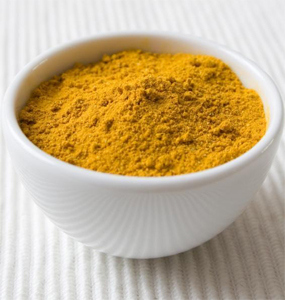 This is the most common homemade Ayurvedic face pack that is used as part of most cultures, especially during the wedding season, as it helps enhance the to-be wedded bride’s skin. Mix 4 tbsp. of chickpea flour to half a tbsp. of turmeric powder and make a paste. You can also add some raw milk or fresh cream for added smoothness. Use this at least once a week, for 10-15 minutes to get bright and glowing complexion. Tip: Immediately wash your face once you see the face pack cracking. Dry face packs should not remain on the skin for long as it can bring forth fine lines and wrinkles. To make this face mask, you can use the easily available sandalwood powder instead of grabbing a sandalwood stick and rubbing it on the stone. Both the alternatives do equal justice, thus, regardless of what you use, mix sandalwood with some water or rose water and let it on the face for 15 minutes before you wash it off. This is among the most popular of face packs for glowing skin. You have to try this face pack for glowing skin. Mix it all with some fresh cream or buttermilk. Ensure you leave the paste for at least 10-15 minutes and when used at least once a week, it relieves stress, thus giving your skin youthful glow. Make a scrub with 1tbsp of fine rice flour and sandalwood powder. To it, add conch shell powder (optional –great for treating pimples), half a tbsp. of milk or milk powder, and 1tbsp of chickpea flour along with rose water. Use this Ayurvedic scrub once or twice a week to get a spa like scrubbing experience. This homemade Ayurvedic face pack includes anti-oxidant and moisturizing properties, which helps you, achieve clean and light skin. Take 1 tablespoon of organic honey and add 3-5 drops of fresh lemon juice and then apply on the face in the right technique. Make sure to cover all areas of the face excluding the eye area. Rinse it off with clear water after 10-15 minutes. This pack will help you achieve soft, glowing skin in no time. It also helps in removing the facial hair. Take some chickpea flour, a pinch of turmeric and few drops of lemon along with raw milk or rose water to make a smooth pack. Apply on a thoroughly cleansed face and leave it for 10 minutes. Rinse it off with cold water to get a soft, smooth, and glowing skin. It also claims to fade away the blemishes along with removing tan and dead skin cells. Regularly follow your daily skincare regimen.